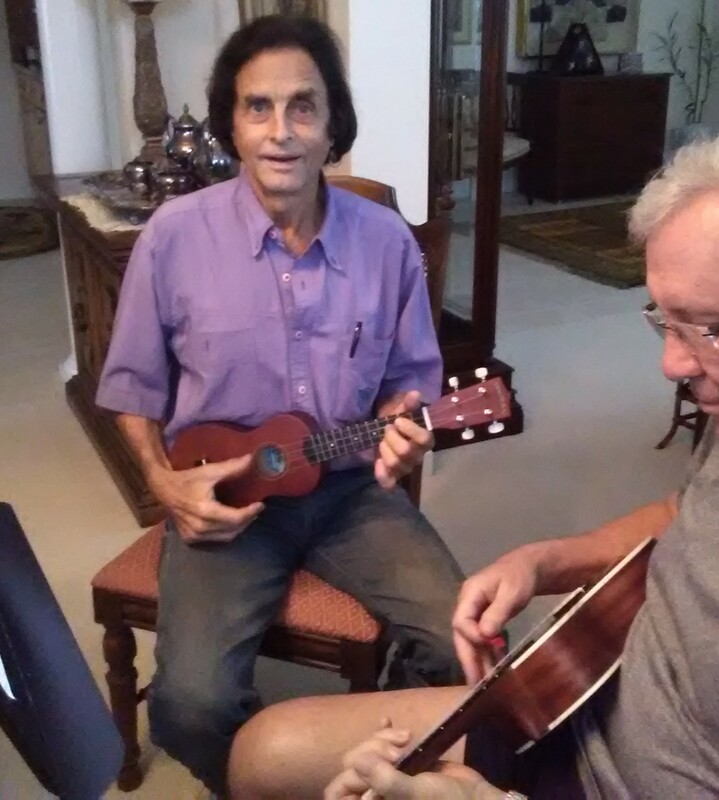 Helping others to enjoy a fun hobby and personal satisfaction to achieve success in self confidence by mastering an instrument. Very patient. Very knowledgeable. Dan is a pleasant and genuine guy! The thing about Dan is he is so into what he does. 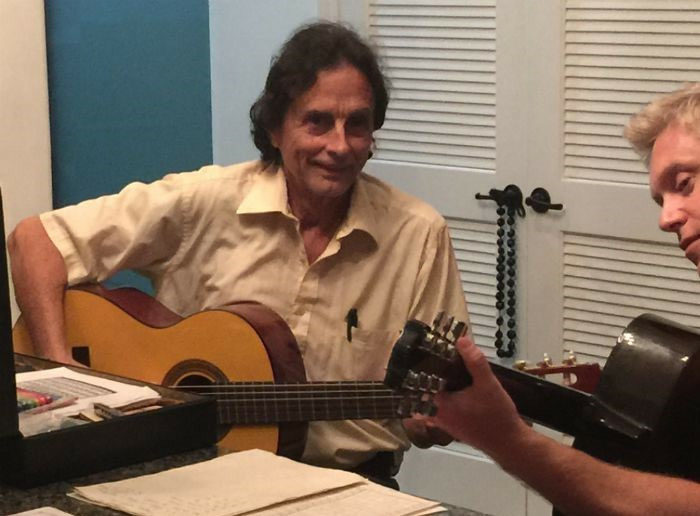 His passion for music makes him the perfect muse for anyone who wants to play the guitar better. Dan the Music Man is very knowledgeable and explains everything in detail and makes it easy to understand. Dan is a VERY patient and knowledgeable teacher. Very pleasant. A good teacher who works on my level, which costs $15 less than most studios that I have to drive to, and pay a month in advance and lose if I miss a lesson! Dan the Music Man is an excellent ukulele teacher. I didn't know how to read music, never played an instrument and I can't hear very well. So Dan had is work cut out when he took me on. I evaluate what they already know, then start from there. We learn the notes, scales, chords, lead patterns, music theory, and play songs plus sing melody and harmony. 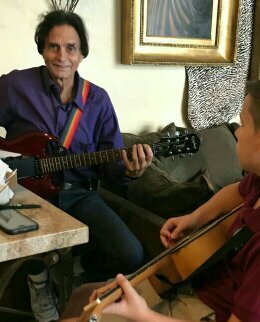 I sang and played guitar and bass more than 40 years, wrote songs, taught private guitar lessons for 4 music studios, 1 music class in a private elementary school, and over 10 adult education classes at 3 Broward County High Schools. I owned and operated my music business for around 35 years, as a teacher/instructor, singer/musician, entertainer, and DJ/MC. I Performed as a solo artist and in groups of 2-6 people, played with a country band which opened for some big recording artists at concert shows. A 1 hour weekly lesson in Broward County costs only $30 for a full hour plus $10-15 transportation fee, depending on location and schedule. No contracts, commitments, or advance payments required. No tax or any other costs, except for optional equipment, accessories, books, etc. No charge for any missed lessons if I am notified by phone of cancellation at least 12 hours in advance. I will give you handouts that I print out at my expense, so you don't have to buy a book for about $25, that most teachers require you to purchase. There is a $10 charge if you don't notify me to cancel and/or reschedule appointments at least 12 hours in advance with a voicemail or text message to my phone. Your price will be locked in (will not increase) for at least 3 full years! You must have an instrument, or buy or rent one from me at a very reasonable price. Pay each visit with cash, check, or PayPal, no credit or debit cards accepted yet. My father had an old acoustic guitar that I started playing on when I was 15. I got a new electric guitar and small amp for Christmas. I took private lessons from 2 teachers for about 6 months each, which I paid for myself from saving money by working, and all of my equipment, vehicles, and 7 years of college. I learned a lot on my own from friends and playing by ear. Teaching others was easy for me because I am very attentive and most my students think I am a very good and patient instructor. Anyone from 7 to 70 years old. I have been to over 1000 live concerts. Hire someone who has over 35 years experience teaching and playing professionally. Are you willing to commit to taking a 1 hour lesson weekly and practicing about 30 minutes daily?